Occupied Jerusalem, ALRAY - Paraguay is to return its embassy in Israel to Tal Aviv in a reversal of a decision taken in May by former President Horacio Cartes to transfer the embassy's site to Jerusalem, Foreign Minister of Paraguay said Wednesday. "Paraguay wants to contribute to intensive diplomatic efforts to achieve a comprehensive, lasting and just peace in the Middle East," Minister Luis Alberto Castelloni told reporters. 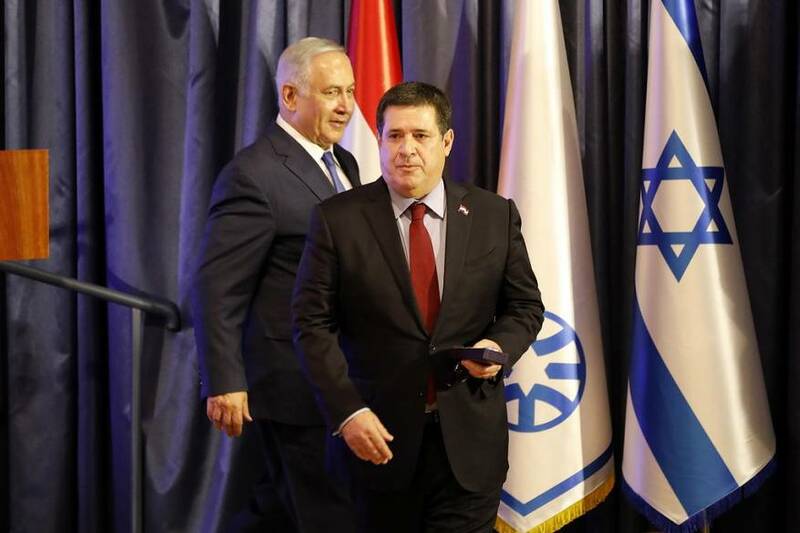 Former President of Paraguay Horacio Cartes traveled to Israel last May to inaugurate the embassy in occupied Jerusalem. Israel prime minister Netanyahu instructed Israeli Foreign Ministry to close the Israeli embassy in Paraguay after the new president Mario Abdu took office. On December 6, US President Donald Trump announced the recognition of occupied Jerusalem as an alleged capital of Israel and the transfer of his country's embassy to it, sparking Arab and Islamic anger.